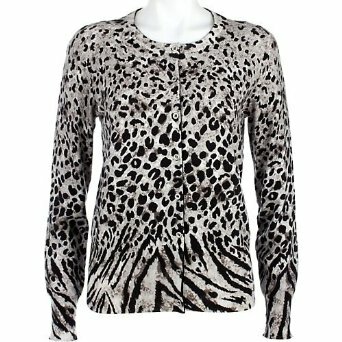 A stylish cardigan by Jones New York featuring long sleeves, animal print and button front closure. Cotton. Nylon.